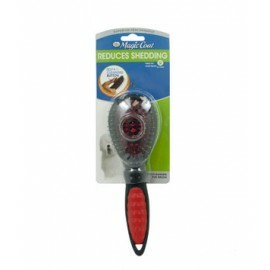 The Magic Coat Flea & Tick Comb features an ergonomic comfort grip handle. 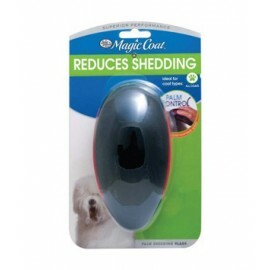 These thightly placed teeth effectively removes fleas, ticks and thier eggs from the dog's coat..
PALM CONTROL!Magic Coat Palm Shedding Blade fits in the palm of your hand for more control, allowing you to be closer to your pet. 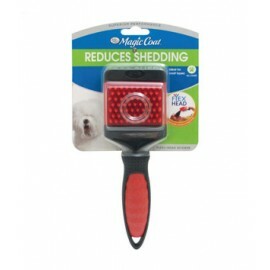 Use the palm shedding blade to reduce coat shed and help minimize any.. 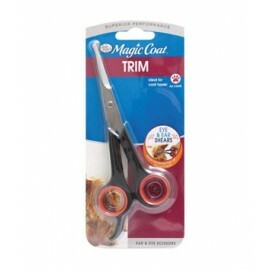 COMFORT TIPS!For well groomed apperance, dogs need to be combed and brushed regularly. 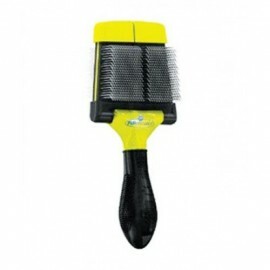 The Magic Coat Pin Brush features an ergonomic comfort handle ans metal pins used to help reduce knots and tangle..
Magic Coat grooming solutions feature an easy-to-use color-coded system to help owners select the best products for pet coat and grooming needsPart of Four Paws' Reduces Shedding collection, this 2-in..
FURminator's trusted line of high-quality grooming combs provides a gentle, effective solution for finishing the grooming process. 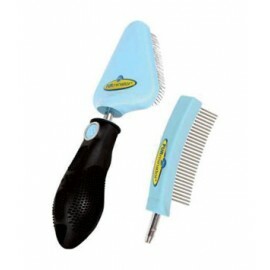 As the second step in FURMinator's 2-Step Grooming Process, combing a..
All dogs require grooming, no matter the coat type: thick, curly, fine, silky, straight, or somewhere in between. 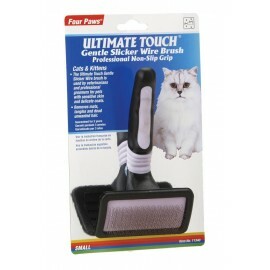 FURminator\'s superior grooming brush line includes slicker brushes in two sizes, each..
Not all cats were created equal, which makes FURminator the best choice when it comes to deShedding solutions. 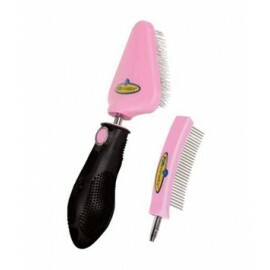 Simply select the short hair or long hair edge tool matched to your cat's body size for a..
Start your puppy or kitten on a lifelong grooming routine with the FURminator My FURst Groomer. 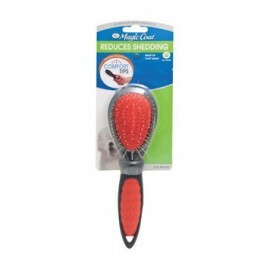 It is specially designed to offer a soothing, massaging experience when brushing puppies or kittens, whi..
All dogs require grooming, no matter the coat type: thick, curly, fine, silky, straight, or somewhere in between. 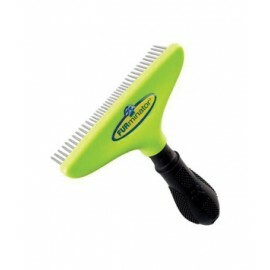 FURminator's superior grooming brush line includes slicker brushes in two sizes, each ..